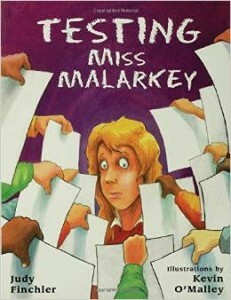 Standardized testing is quite the ordeal for teachers and students alike. It really can cause undue stress and anxiety to our students and often cuts into our curriculum time as we prepare our classes. I wont discuss the merit of standardized testing, but since it is part and parcel of our schooling system, I’ve listed 7 steps to EQAO success (and other standardized testing), which can be used in any grade. 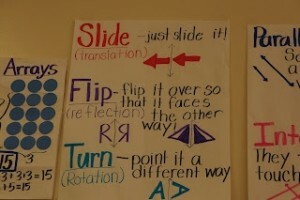 I’ve implemented these steps in my classroom and really found that they helped to both prepare and calm my students. 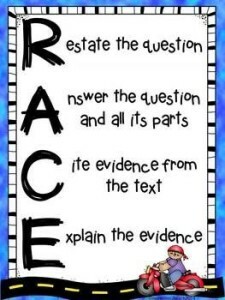 Take a look at these steps, and let me know which steps you use in your classroom in the comments section. *Please note that, as per EQAO rules, all aiding materials (such an anchor charts and posters) must be out of student view during testing. 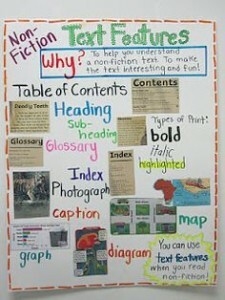 A list based on a class discussion is a good visual reminder. A handy little sheet for students to take home and share with their parents/guardians. Another suggestions is: have students complete an EQAO test section from a previous year, and ask them to note which test strategies they used in the margins. This is test prep gold right here! Give your students the steps they need to construct a meaningful answer. 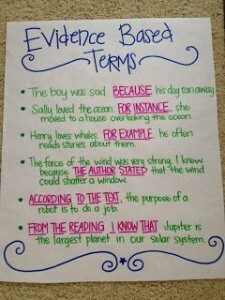 Remind your students to present evidence…ALWAYS! Equip your students with something that is easy to remember. EQAO is packed with curriculum heavy vocabulary. So reviewing the key concepts of your year will really help to ease the anxiety that may come about when your students see terms they can’t recall. This is really meant to be a subtle review. Using old EQAO tests can help with this step. An example of text feature terminology. Math concepts with a quick illustration work nicely. Chances are, as soon as you mention EQAO testing to your students, parents will be emailing, calling and writing notes to you the following day. 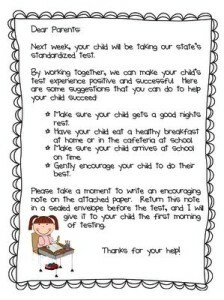 Parents feel anxious about such an official test and are usually eager to help their child prepare as much as they can. It’s helpful to direct them to the EQAO website, as well as offering them some tips. 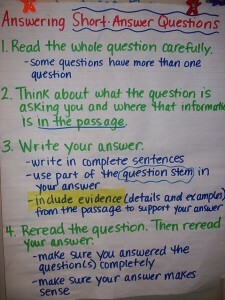 Take a look at the notes below, and don’t forget to include a handout similar to the example in step 1. 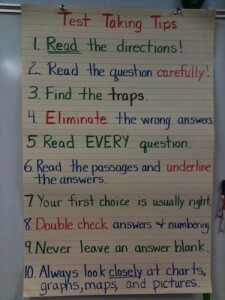 This is a US version, but can be adapted for EQAO. 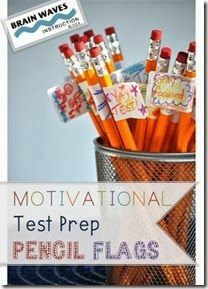 The weight of standardized testing is not lost on our often aloof and rowdy students, and it can stress out even the strongest of them. It’s important to normalize the test and put it into perspective. I often tell my students that the test is just a way of seeing how great our year was, and noting all the amazing things we learned together. Give students a chance to ask all the questions they may have about EQAO. 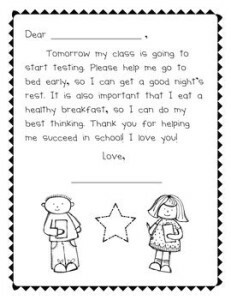 Also, read alouds and videos like the one below help with easing student worries. Students (and everyone, really) love receiving treats. 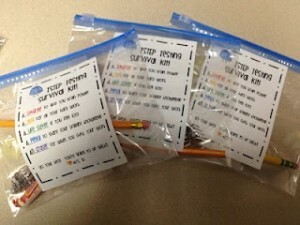 So, surprise them on the morning of their EQAO test with a helpful and relevant treat to help lift their spirits and give them an extra boost of confidence. 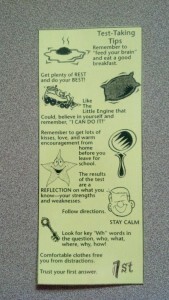 Give your students a newly sharpened pencil with a note of encouragement attached. 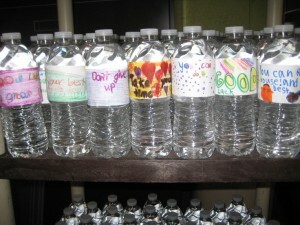 Have students from another class create these motivational water bottles. Don’t underestimate this step. 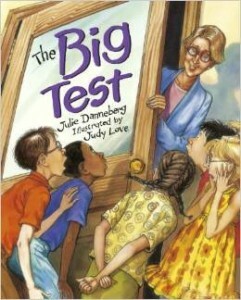 A slight knock on the door is enough to throw someone’s test writing groove right out the window. It’s useful to help minimize any intrusions with a sign like the one below. Lastly, your students will look to you for comfort and support. So a warm smile goes a long way. It’s also nice to have a debriefing session after the test, where students talk about overcoming their challenges, which test strategies they used and other helpful topics. Which steps do you find the most important?